Andrew only drove through Portland once before and I had never been. I was the one that really wanted to check out what Portland had to offer while we were out that way. We found our hotel through Hotwire (per usual) and opted to stay in the Nob Hill area since we figured that would be a good area. We never walked or explored that area though since the weather wasn't always super nice while we were there. 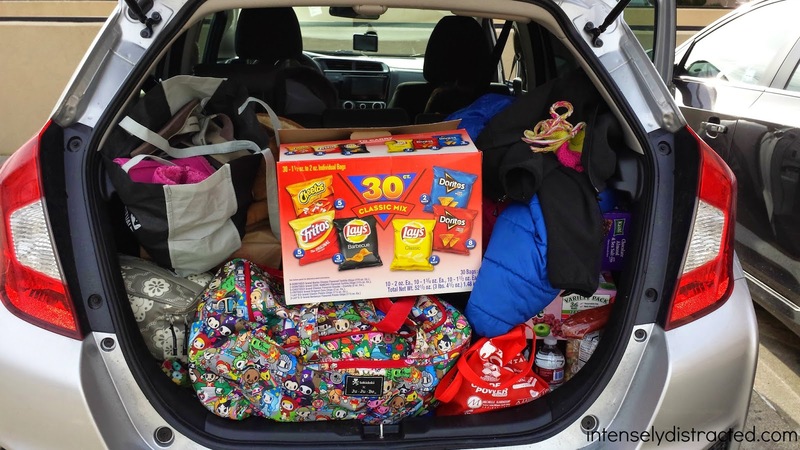 We stayed in Portland for 2 nights which gave us 1 full day and a half day to check out the city. 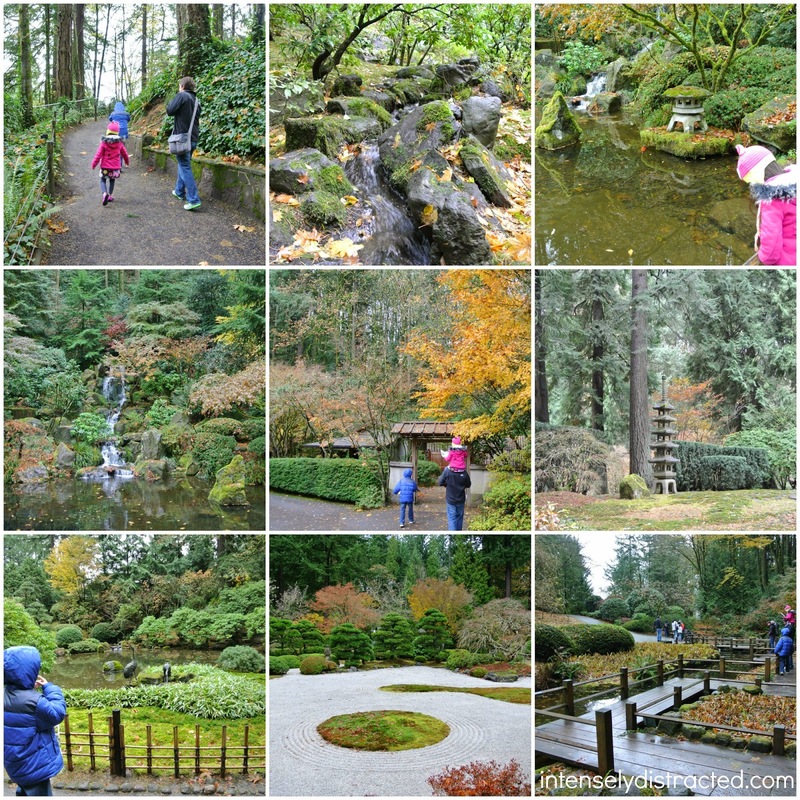 On our first day, we decided to visit the Portland Japanese Garden which was located in Washington Park. Washington Park is home to basically everything you could ever want to visit which means it's huge. It was easy and quick to find from our hotel, but it took us an extra while longer to find the Gardens and to figure out parking. The Garden is located in the west hills so you have the option to walk up the winding path or take their shuttle. We walked since it was a pretty short distance. Since we were visiting during the fall/winter, we saw a lot of evergreens, leaves, and rain. It was pretty, but we could only imagine how gorgeous the place would be in the spring/summer. It was nice to wander through the grounds with very few crowds, but it would definitely be worth a visit when everything is in bloom. 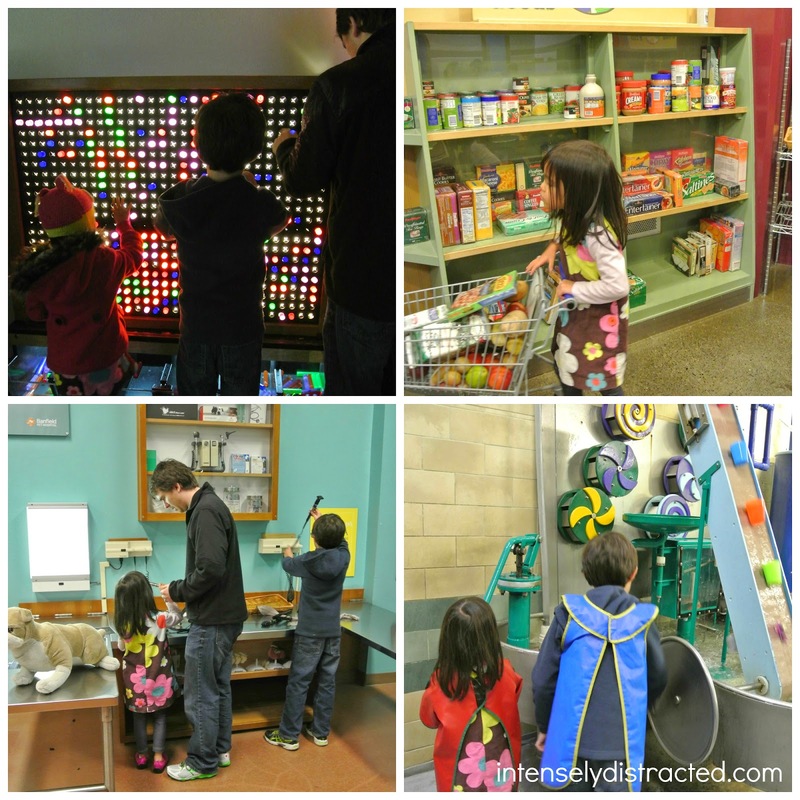 When the rain decided to really pour, we headed to the Portland Children's Museum which was also located in Washington Park. We love visiting children's museums everywhere we go. Although this wasn't the best one we've ever been to, it still had everything to be expected in a children's museum so the kids enjoyed interacting with all the exhibits all the same. Isabelle even asked the other day when we could go back. 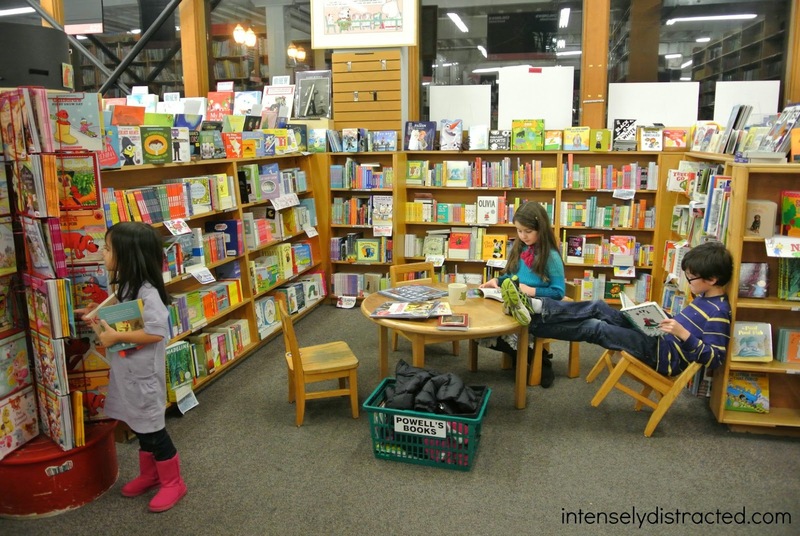 The only really big thing that we knew we wanted to do in Portland was visit Powell's City of Books. My sister said that was pretty much a must. When we learned that it was basically a giant bookstore, Andrew and I were in and saved the best for last. Powell's is huge. It's the largest independent new and used bookstore in the world. They have several locations in the area, but we went to their flagship store. We could have stayed their all day long. It was so fun to look through all the rooms, floors, and shelves and we came out of there with a nice large stack of books. We loved it so much that we made a point to make another visit on our way home and purchase another stack of books. Our stay in Portland was short-lived, but there was plenty of time to feel like we soaked in the city. We were able to try some local cafes and restaurants including a tea house where Andrew was able to relax with a cup of tea. Overall, Portland was a relaxing stop on the way to our final destination.